The 1970s were a decade of impressive technological invention and development with the first microprocessors, calculators and video games strutting onto the scene oozing cool. Here are just seven of the best technologies to emerge in these years. When Intel brought out the first microprocessor in 1971, the Intel 4004, it started the evolution of the home computer. Up until this time most computers were in the hands of fans and scientists with few members of the public really paying attention. Measuring only 1/8th by 1/6th of an inch it was as powerful as the ENIAC built in 1946 and is, according to Intel, one of the smallest microprocessor designs to go into commercial production. While Tennis for Two, created by William Higinbotham, could be considered the first ever videogame, it was only in the 1970s that video games hit the big time. Pong was released in 1972 by Atari and was the result of a training exercise set by Nolan Bushnell for his protégé Al Alcorn. 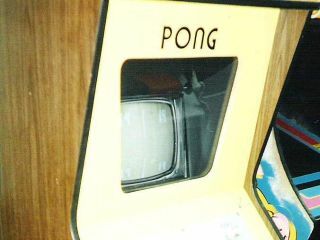 Shortly after Pong entered the arcades, the hard work done by Ralph Bauer in the 1960s saw the release of the Magnavox Odyssey in 1972, the very first video game console that allowed you to play several different games from the comfort of your sofa. The history of liquid crystals is a long and interesting one starting with their discovery in 1888 by Friedrich Reinitzer when he found them in cholesterol extracted from carrots. Carrots! However, it was James Fergason who took the research done by Reinitzer and George Heilmeier (in the 1960s) and expanded it, taking out a substantial number of patents in liquid crystal displays. Seen as the father of the liquid crystal industry, he started the International Liquid Crystal Company (ILIXCO) and produced the first LCD watch in 1972.